The Poison 105 from Demonia is a pretty pastel goth ankle boot. With heart ring buckle straps and a lace up front this cute gothic boot has a velvet panel embroidered with hearts. 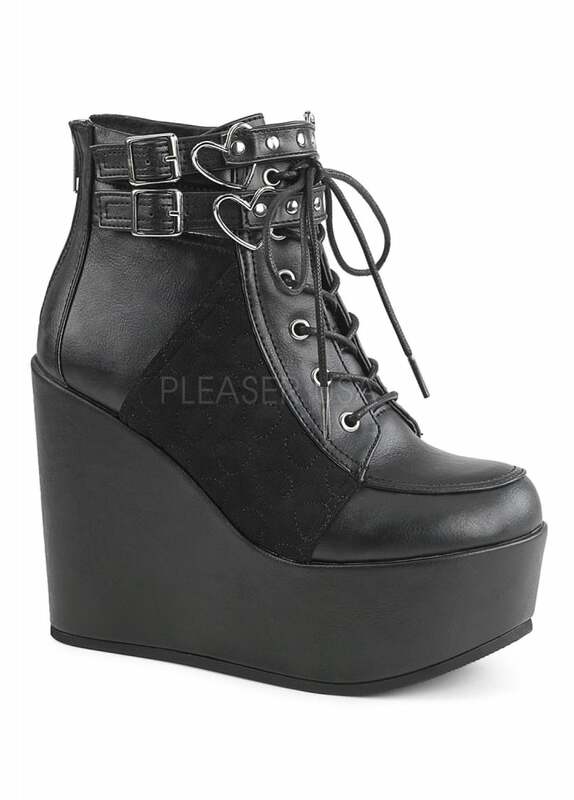 The platform features a wedge heel.